Welcome to Marketing's morning briefing, a daily shot of news and a recap of the best longer reads and videos. In today's news, one billion users log into Facebook in a single day, Apple will debut a new iPhone, and ex-Tesco boss Phillip Clarke faces a grilling by the Serious Fraud Office. Apple is set to launch a new iPhone model on 9 September, exactly a year after the company launched the Apple Watch and mobile payments service Apple Pay. 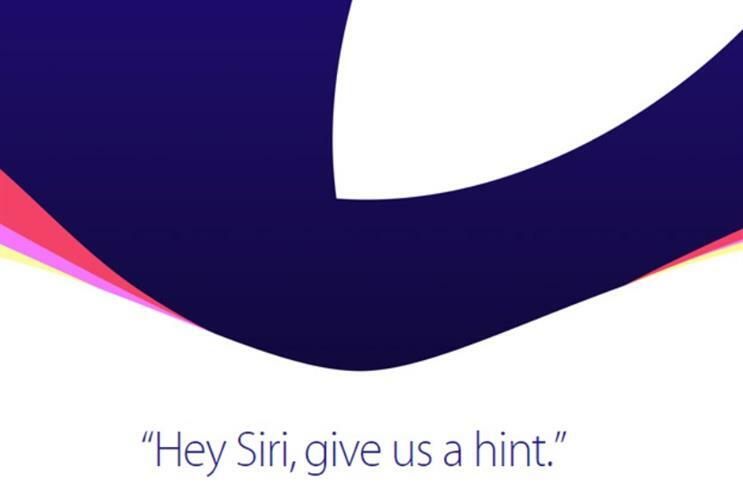 The firm sent out press and analyst invites with the tagline, "Hey Siri, give us a hint". Actually asking Siri for a hint results in coy responses like, "You're cute when you're desperate for information". Apple is expected to unveil the iPhone 6S and, possibly, the cheaper iPhone 6C. It may also update Apple TV. The news comes after research firm IDC pegged second quarter sales for the Apple Watch at 3.6 million, making it the second most popular wearable device after Fitbit, at 4.4 million. One in seven people on the planet logged into Facebook on Monday this week, founder Mark Zuckerberg revealed. Announcing the milestone, Zuckerberg said: "When we talk about our financials, we use average numbers, but this is different. In its most recent quarter, Facebook averaged 968 million daily active users, and 1.49 billion monthly active users. The firm could hit one billion daily active users on mobile before long. The news comes after Facebook unveiled M, a digital assistant to rival Siri and Cortana. As well as, tech, M uses human "trainers" to meet user requests. Ex-Tesco boss Phillip Clarke is reportedly set to be interviewed by fraud investigators, as the probe into the retailer's accounting scandal wraps up. The Serious Fraud Office has asked Clarke and former commercial director Kevin Grace to come in for interviews, according to Bloomberg, citing sources. Former head of UK operations, Chris Bush, also received a summons earlier this year. The SFO began probing Tesco almost a year ago after the retailer revealed a £326m accounting hole. Amazon's poor treatment of its workers shouldn't come as much of a surprise, when it's our frenetic consumerism that drives it, says chief creative officer at DigitasLBi, Chris Clarke. Brands and agencies have lost their influence on popular culture, says Nils Leonard. Focusing on creativity and ambition can reverse that trend.